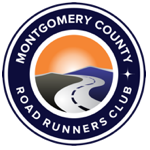 MCRRC maintains a database of approximately 14,000 active runners in the Washington DC area. A client may purchase any number of these labels ($0.08 per label) by zip code in order to mail your entry brochure directly to active runners. Experience has shown that direct mailing is the BEST method of promoting your race.